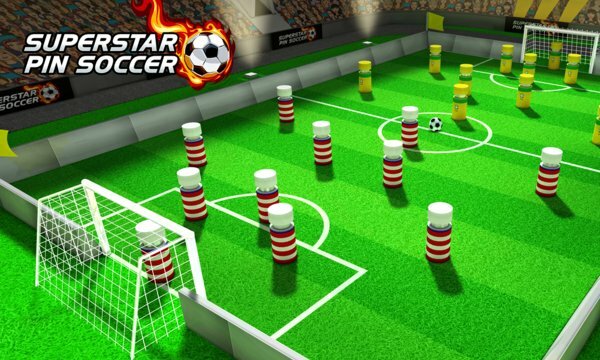 Superstar Pin Soccer is an addictive original soccer game in first person style, so you will play with “inside the field look”, like soccer’s player real view, really different from what you ever seen in other mobile soccer games. It’s easy and intuitive to play and has awesome 3D graphics, lots of teams, and too much fun. 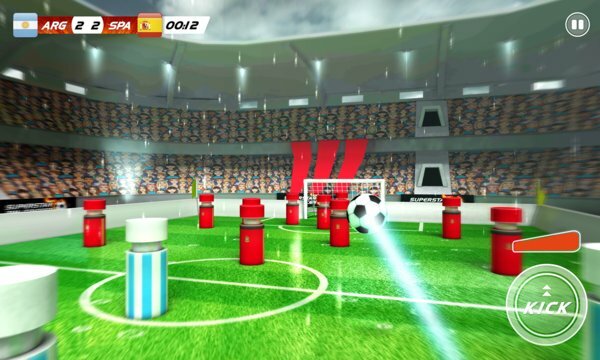 Superstar Pin Soccer combines a bit of strategy, action and luck to get you a truly nice and unique soccer experience. - Very intuitive and easy to play interface – you will learn how to play it in seconds. - Despite it’s very easy to play, it’s not so easy to get pro. - Play different teams and cups. - Excellent visuals and graphics in detailed 3D scenarios. - Realistic Physical Engine, perfect ball physics. - Play European and Brazilian League, than win the World Cup. - Three different field scenarios: day, night and rain. Superstar Pin Soccer is completely free to play but some in-game items can be purchased with real money. You can turn-off the payment feature by disabling in-app purchases in your device’s settings.